The event takes place at the Riverview Park along the Cedar River Trail, 2901 Maple Valley Highway, Renton, WA 98058 (The entrance to the park is across from SE 5th Street. Type "Riverview Park" into your GPS as for some reason typing the address only directs you to a spot a few hundred feet down the road.). See Course page for more details. It is entirely organised by volunteers - email rentonhelpers@parkrun.com to help. Every week we grab a post parkrun coffee at Luther's Table in Downtown Renton, 419 South 2nd Street, Renton, WA 98057 - please come and join us! 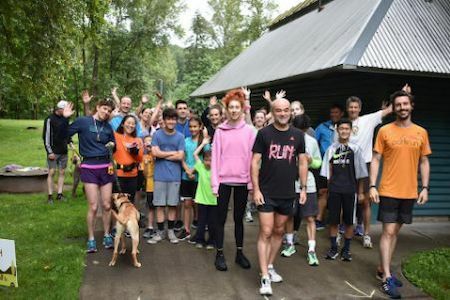 See our volunteer page for details on getting involved in making Renton parkrun happen.